Another case that probably should have been RDNH. A World Intellectual Property Organization panel has denied a cybersquatting complaint against the domain name Gloo.com but neglected to consider whether it was a case of reverse domain name hijacking. The case is a classic “Plan B” UDRP filing. The complainant, which uses Gloo.us, tried to buy Gloo.com, which was registered well before it started using the brand. When negotiations didn’t work out the way it wanted it filed a UDRP. Yet the panel didn’t even discuss reverse domain name hijacking in the decision. It’s not clear if the respondent, who was represented by John Berryhill, requested a finding of RDNH. But a request for the finding isn’t necessary. Given the fact pattern in this case, I’m surprised that the panel didn’t at least consider it. Don’t you think the use of WHOIS privacy services and ascertaining the ownership history influenced the panels decision whether or whether not to consider RDNH? Perhaps. 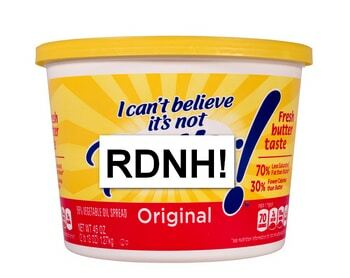 But if that’s why they didn’t find rdnh then they should have considered it in their decision and said that’s why they weren’t finding rdnh. Also, keep in mind that the complainant could have withdrawn the complaint after the owner was unmasked. I’d also count a strike against it for suggesting that 33 historical Whois records is some sort of indication that the domain has changed hands. knowing John Berryhill he really does not care about reverse domain name hijacking, he mainly want to win which is the name of the game, most of the times he does not request it. It is a giving if the panel wants.